Datacenter Florida is an IT solutions company headquartered in Gainesville, Florida since 1997. 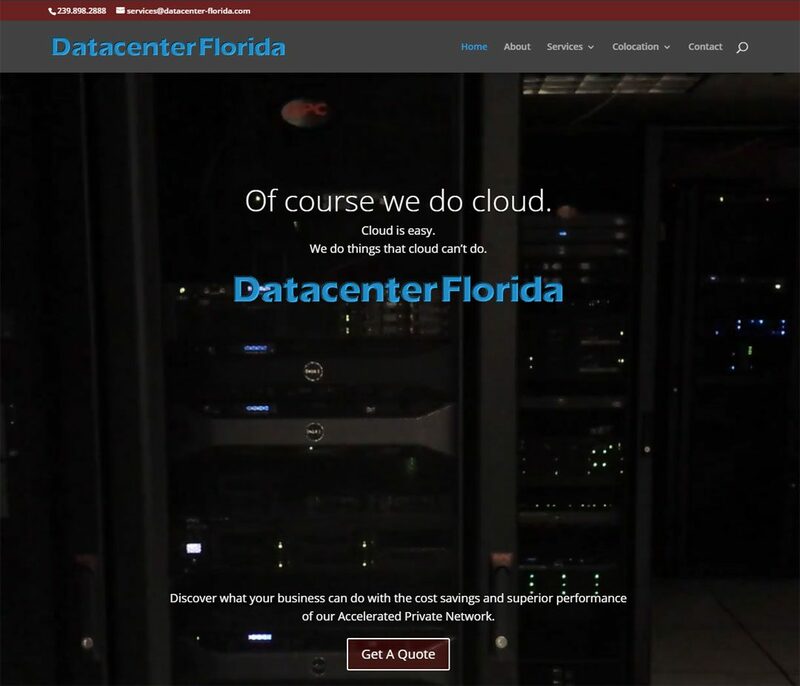 Datacenter Florida is Acceleration’s home office Point of Presence. Local connectivity solutions in the North Florida region vary from 2Mb Ethernet through 10Gb Ethernet and dark fiber. This client required a website design as striking as their industry presence. We utilized the flexible framework of WordPress to build a web presentation that is both educational and beautiful, while presenting a rounded overview of the business.